Combining materials for better standards. When it comes to functionality, our composite doors use advanced and innovative technology to provide robust and resilient solutions for home protection. Our composite door profiles by Endurance, Virtuoso, Solidor and Door Stop, come in a number of different styles and colours to tailor your door to your exact specifications. We only work with the very best quality products on the market and are committed to a professional and cost-effective service that will benefit all homeowners in the Epsom, Banstead, Ewell, Leatherhead and Surrey area. Composite doors provide the authentic look of timber without the issues that arise with traditional timber frames. You won’t need to worry about your door rotting or warping and you won’t need to spend time and money on maintaining your doors. All of our composite doors benefit from the latest security features that will provide a deterrent to potential intruders. All of our doors undergo rigorous testing to make sure they are up to standard to provide you with a strong and secure product. With all of our doors fitted with advanced multi-point locking mechanisms, you can be safe in the knowledge that your home is well protected under lock and key. Although based in Epsom, Window Doctor operates throughout Surrey and the surrounding area. We install composite front doors to homes in Epsom, Banstead, Ewell, Sutton, Croydon, Purley, Caterham, Wallington, Leatherhead, Tadworth, Kingswood, Reigate, Redhill, Merstham, Bookham, Cobham, Weybridge, Esher, Oxshott, Fetcham, Ashtead and throughout Surrey. We can provide you with composite doors that are outstanding in design using a combination of materials to create a beautiful entrance to your property. Not only can it provide an impactful first impression, it can provide extra security for your home in Epsom. Because of the way composite doors are made, they are excellent at weatherproofing your home against even the most adverse weather conditions. Your Epsom home will be sealed against rain and harsh winds which will keep your home dry and free of draughts. This is especially important in the winter months when you want your home to retain its heat to create a warm and inviting atmosphere. All of our composite doors have undergone extensive testing and are assessed under the strictest of criteria to make sure you are provided with the best possible product available. Unlike timber doors, composite doors are made up of a variety of materials sourced for their properties, which results in a strong and durable product. They are not at risk of rotting or warping and they provide homeowners in Epsom with a virtually maintenance free solution. 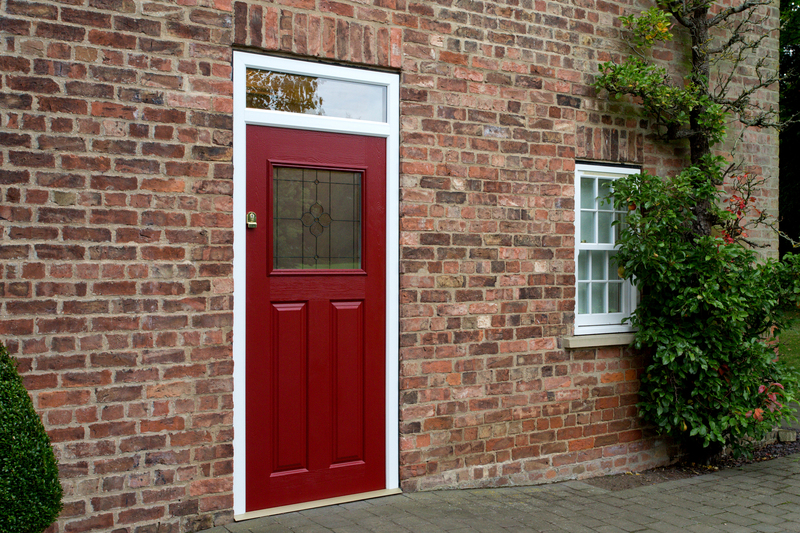 Composite doors aren’t just a solution for entrances to a property. You can also invest it different styles such as French doors and Stable doors that are just as practical and just as beautiful in design. All of these door styles are customisable to your personal tastes. Get an free quote in moments with our quote engine. This design tool allows you to fully customise your perfect composite door and receive your tailored quote. See our competitive composite door prices today! You can use our online contact form to get in touch about the pricing of our composite doors. We provide unrivalled prices based on the specifications and requirements you have. We can provide budget friendly solutions for your home improvement projects. Enhancing your Surrey home with composite doors doesn’t have to be an expensive project, we can offer solutions that are cost-effective. If you would like more information about our products, our friendly team can help by talking you through our range and options available to you.